Tonight’s uncharacteristic Friday night pay-per-view wil be headlined by a UFC women’s bantamweight title bout. The fight between Amanda Nunes and former champion Ronda Rousey is apparently on track to break attendance, possibly even pay-per-view records. According to MMAJunkie.com, the T-Mobile Arena, which will host the event, has opened up standing room to accommodate the hordes of fans hoping to attend. This will make the event the most attended in the UFC’s history in the city of Las Vegas. Last year, UFC 193: Rousey vs. Holm was held on November 15, 2015 at Etihad Stadium in Melbourne, Australia. 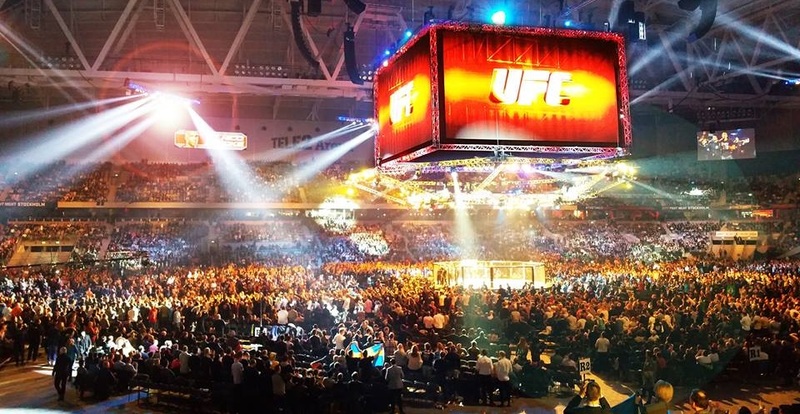 The event was the most attended UFC event in the history of the company, with 56,214 people filling the stadium. Tonight the card features Rousey once again, but this record would be for the most attended UFC event in Las Vegas. Told @TMobileArena opening up standing room only for very first time tomorrow. #UFC207 will be biggest Vegas crowd ever for @ufc event. UFC 207 is also on course to be a contender for the most purchased pay-per-view in UFC history. This record has set twice this year, both times by cards headlined MMA superstar, Conor McGregor. Were UFC 207 to surpass the PPV records, it would need to be purchased somewhere north of 1.5 million times. Wow. Also told early trending indicates #UFC207 could possibly contend for the @ufc’s pay-per-view sales record. That is incredible. Will UFC 207 defy the odds? Will the record for the most ordered pay-per-view in the history of mixed martial arts be set by a card headlined by women? Bigger star, Conor or Ronda? The question or debate between who the bigger star is, McGregor or Rousey may very well be answered tonight depending on the number of fans who make the purchase. UFC President Dana White has often said that Rousey is the bigger star when it comes to comparison with McGregor. Will the numbers tell a different story?